Our beautiful banquet room is available to rent for a variety of occasions, such as rehearsal suppers, small wedding receptions, family reunions, wedding anniversaries, and business meetings. The room features a beautiful chandelier made in the Czech Republic. It’s one of a kind in the United States and is typical of chandeliers that adorn Prague castles. The room can accommodate 80-90 guests with round tables or 130-150 guests with rectangular tables. 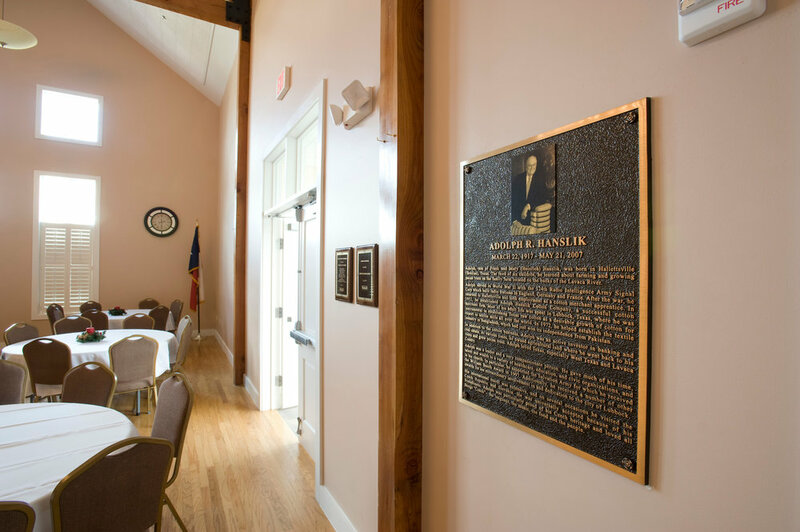 A beautiful lobby that also adjoins this room and a large outside deck are available as part of the Hanslik Hall rental. A complete catering kitchen adjoins the hall. For more information on renting the hall, contact info@czechtexas.org.